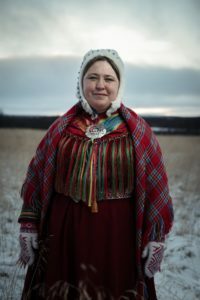 February 6th is when Norway celebrates the indigenous people’s in the northern part of the country known as the Saami People. Happy February! I’m writing this article in the cold of January, but now that we’re moving into February we are one month closer to warmer weather. Now that it is February we are closer to the end of the cold weather. On a personal note, the highlight of my January was my daughter-in-law receiving her Ph.D. in anesthesia from Mayo Clinic College of Health Sciences in Rochester. They will be moving to Fargo this month and she ‘ll be employed at Sanford and my son, Tyler, will transfer with Bremer Bank from the Rochester office to the Fargo office. All three of my children will now be within 200 miles of me! After having two on the east coast this is a real treat for Mom! Another treat I received was a book made by my son Christopher. It is a compilation of all of my father’s letters home during WWII. It includes a copy of the actual letter, as well as the typed letter as the quality of print, has faded in the over 70 years since they were written. This will be a treasure for years to come and hopefully, my grandchildren will enjoy having their own part of WWII history when they study the war in their classes. During the holidays we delivered our Sons of Norway Foundation checks to organizations in our community. One of the organizations we supported was Mahube-Otwa. To people new to town that is a real foreign term, but simply put it is our Community Action Organization. Our donation was used to purchase Christmas gifts for a low-income family. We spent just under $200 on gifts to make a Christmas for a family. Mahube helps low-income families in many ways including providing a Head Start in school for its clients with daycare homes as well as center-based preschool classes. Children are given the opportunity of a quality preschool program they may not otherwise be able to afford. This helps them prepare for school and as a result, they need fewer remedial programs in elementary school. Studies show the earlier we can close the gap, the more successful the child will be later in life. The main goal of their programs are to reduce poverty. Other programs offered by Mahube include health assessments, fuel assistance, housing assistance and assistance for senior citizens such as programming when ill or disabled, food assistance and help to prepare tax returns and many other programs designed to assist lower-income individuals. We are very fortunate to have the offices for the five-county area in Detroit Lakes. 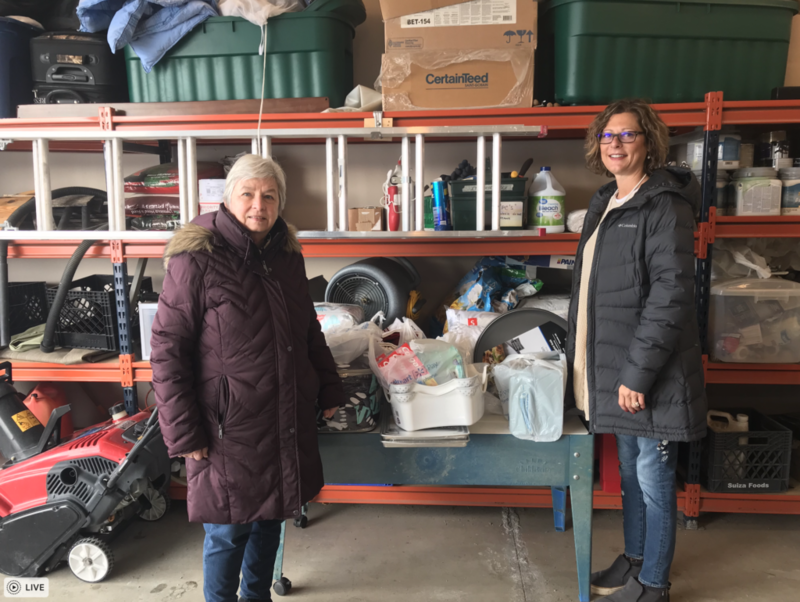 Please see Carol Turner’s Foundation report from the past few months for more organizations supported by our Lodge’s Foundation gifts. There will be an officer training session provided by our Zone Director on February 9th from 1-4 at Calvary Lutheran Church in Bemidji. We will be car-pooling to this event. If you would like to go, please notify me at (847-3856) as soon as possible so I can get you registered! We are in the planning stages for our now annual Scandinavian Festival. It will be held at Ecumen in the Forest Conference Center on Sunday, March 3rd. If you have a skill you would like to demonstrate or share with the public please let Carol Turner know as soon as you can. We are planning ahead to April for our Silent Auction fund raiser. This is a great time to be thinking about items you would like to donate. The last couple of years we have had amazing items and generous bids that give us the opportunity to give back to our community. Please give me a call 234-8887 if you have items to donate, this helps us know how many tables we need to set up. Our Vikingland lodge is going to host another Scandinavian Festival this year, it will be held at Ecumen on March 3, from 12 – 3. We will have food, crafts and items from our ancestors on display. The Norswedane dancers will also come to wrap up the program. If you have not been contacted by the committee to help and would like to contribute please contact one of us: Carol Turner 234-8887, Dorothy Hoover 847-6345, Bonnie Mohs 234-1729, or Pat Johnson (952)334-2169. Please send warm thoughts (varme tanker) and prayers (bønner) this month to Larry Olson who had pneumonia, Avis Sather who injured her wrist from a fall on the ice, Sharon Hitttle who had pnuemonia, and Jon Horner who has been diagnosed with esophageal cancer and has started treatment. SCHOLARSHIPS: Scholarship applications are due to Roger Josephson by May 1, 2019. You can apply online at sonsofnorwaydl.org/summer-camp/. Brrrrr! It is a cold day today! To our members who are staying in Minnesota this winter, I hope you are staying warm. To our members who are spending some time in warmer places, enjoy and think of us. Congratulations to our Bingo winners last month. We had a fun evening of old fashioned Bingo. (we borrowed the Bingo machine from Oddfellows). I also want to thank our lunch servers, Jan Lee and Betty Wammer. I neglected to acknowledge them, so thank you. We have some great programs coming up. February will be Connie and John Wood telling us about a their December trip to Antarctica. How many of us have traveled to Antarctica? March will be our own Dave Melgaard with his guitar leading us in a fun sing-a-long. Also in March, we will once again have our CHILI DUMP. Watch for more information in next months newsletter. April will be Carla and David Reitan, our new associate members, telling us all about the Minot Hostfest. Bob and I have been a part of Hostfest for 20 plus years with a vender’s booth. David’s father was responsible for starting Hostfest and now David is at the helm. Try to attend all three of these programs as they will be fun and informative. We have stamps to trim again. Last year we turned in 24 pounds of trimmed canceled stamps. These in turn are sent to TUBFRUM in Norway where they are cleaned, sorted and resold to stamp collectors. Proceeds go to handicapped children in Norway. I have set February 13, 1pm to get together at Union Central as STAMP TRIMMING DAY. Lots of hands make this a fun and productive day. Bring your own scissors and stamps you have saved. We have our Winter Scandinavian Festival on March 3. Last year was a real success, and this year will be too. A location change, It will be held at Ecumen, 12 noon to 3pm. (we needed more room) Crafters, food samples, artifacts, SN information, folk dancers etc. will all be a part of the festival. Please consider volunteering your talents. Contact, Carol Turner, Bonnie Mohs, Pat Johnson or me if this is something you would like to do. Watch for posters around town coming soon. Sharon Hittle would appreciate a call if you would like to be a lunch server. A big shout out to Sharon as without her organization, we probably would not have “our little lunch” after our meetings. Hope to see you February 12, 7pm at Union Central. 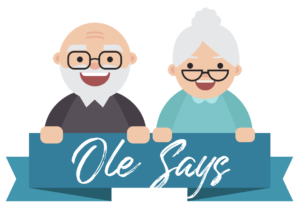 Scholarships for Concordia Language Villages (CLV) at Bemidji or Masso Moro at Eau Claire, Wisconsin are available for youth whose parents, grandparents or guardians are members of a District 1 Sons of Norway Lodge. 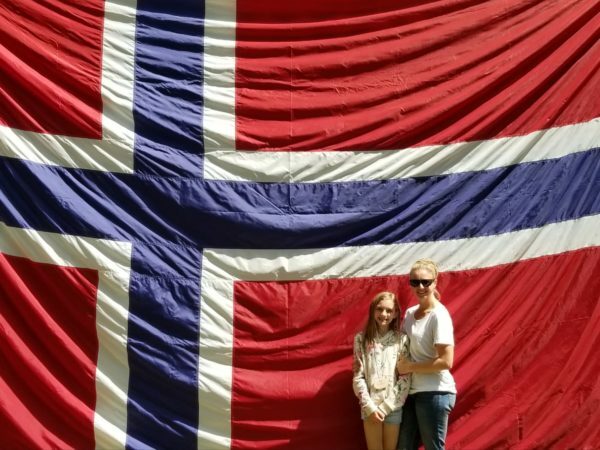 Campers may attend any of the Norwegian, Swedish, Danish or Finnish camps at CLV in June or July or the Norwegian camp at Masso Moro, July 14-27. Vikingland Lodge is entitled to 4 scholarship weeks from District 1, at either of the camps. The local lodge provides an additional scholarship to those attending a camp. Two District 1 $300 scholarships will be awarded to attend a Norwegian Folk High School. Applicants must have completed a U. S. High School and provide evidence of acceptance by a specific Norwegian Folk High School. For additional information contact Roger Josephson. 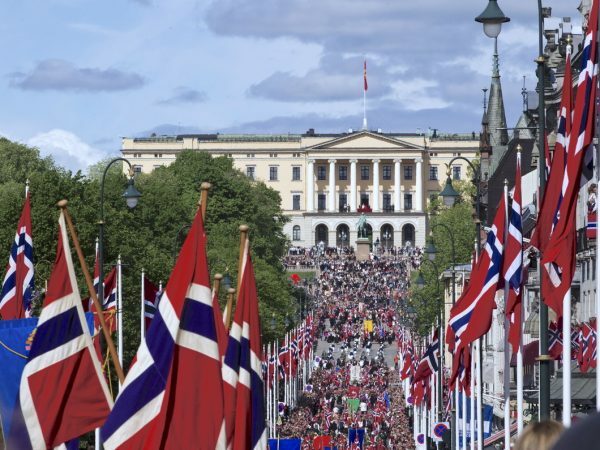 Norway has plans to stop the sales of gas and diesel-fueled cars in the next four years, and the city of Oslo is working toward an ambitious goal of being carbon neutral by 2030. Here are a few of the initiatives currently underway in Oslo that will help the city meet its impressive goal. Since transportation makes up the largest part of the city’s carbon footprint, Oslo is promoting electric cars by creating new “low-emissions zones” where only electric cars can drive. The city is also removing parking spaces to add 40 miles of bike lanes. To promote biking, even more, the city is providing grants for electric cargo bikes. Businesses are also working diligently to support this initiative. Construction companies are purchasing new electric-powered equipment and will have to comply with a zero emissions standard for new building construction sites. A computer data center in Oslo pumps heat from servers into a heating system that heats approximately 5,000 apartments in the city. A newly built office space is encouraging their employees to go carbon neutral by including space for 500 bikes and 10 electric car charging stations. 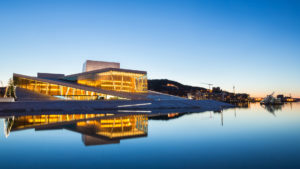 If all goes according to plan, Oslo will be leading the way for other cities striving toward a carbon-neutral environment. 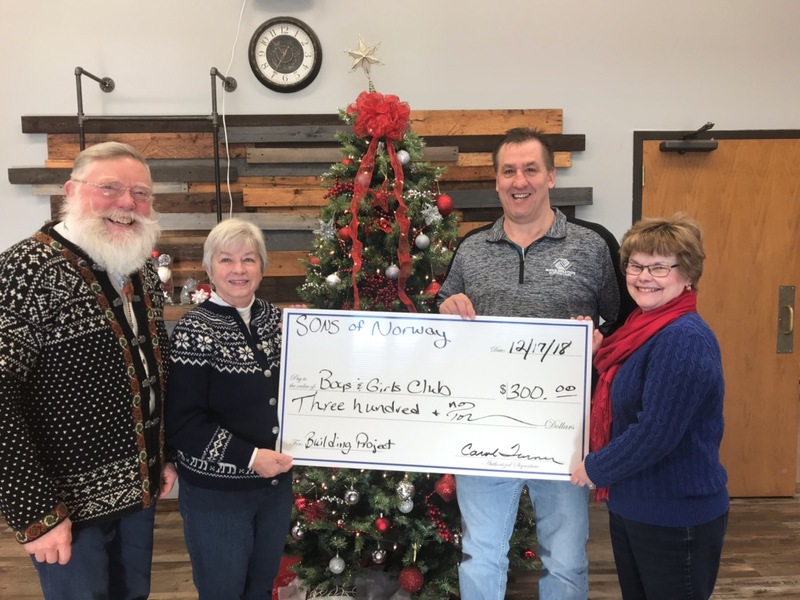 Earl Johnson, Carol Turner, and Bonnie Mohs present a check to the Boys&Girls Club of Detroit Lakes on behalf of the Vikingland Lodge Foundation. 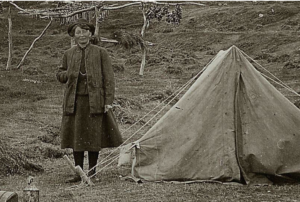 Norwegian botanist Hanna ResvollHolmsen (1873 –1943) is known for paving the way for women in both academia and polar research. Often working alone, Hanna would take expeditions to Svalbard to study the archipelago and its historic sites and fossils. She crossed glaciers, climbed mountains and walked miles of shoreline to document arctic plants and fossils. Her efforts to preserve nature in Svalbard is why she is recognized as Norway’s first nature and environmental conservationist. Hanna was independent, resourceful, passionate and continuously pushed boundaries. She became the first woman to attain a doctoral degree in botany in Norway and the first female lecturer in phytogeography (the study of the geographical distribution of plants). She was also an accomplished photographer, and the first to capture Svalbard’s plants in color. Hanna was truly a pioneer for women of her time. As such, she was recently honored through art by Anne-Karin Furunes, displayed at the Fram Centre, Tromsø. Bonnie Mohs, president, called the meeting to order at 7 pm and we sang the three anthems and said the Pledge of Allegiance. The secretary report was read and approved. Terry Carlisle gave the treasurer’s report with a long list of disbursements for Christmas gifts and end of the year Foundation gifts to 10 different organizations. Receipts included reimbursement for the membership dinner which were $400 from insurance and 160 from the district. He noted that contributions during our monthly lunches go a long way with helping with our budget. He told us that after the annual audit, we will transition to the new treasurer Beth Tinjum. His report was approved. Clifford Oftelie stepped down as Marshall. Will Johnson was nominated by Joe Merseth and elected and will serve a 3 year term. The Audit committee nominated by the executive committee and elected were: Dorothy Hoover, Terry Carlisle, Beth Tinjum, Will Johnson and Doris Iverson. Bob Hoover has sports cards available for 2019. No medals were given. Carol Turner, foundation chairman, reported the delivering of Christmas gifts for families at Mahube and the Crisis Center, and checks for Lets Go Fishing, Becker County Food Pantry, Emma Project, Fly Time which is a gymnastics program for mentally and physically challenge people of all ages, Boys and Girls Club, International Foundation, United Way Backpack Program, household items for the Crisis Center and Ski for Light. Dorothy Poffenberger gave her sunshine report and ask others to let her know if anyone is in the hospital. Dorothy Hoover presented January birthdays gifts, Harold Sanders won the $5 drawing and she asked members to call Sharon Hittle to volunteer to bring lunch and also asked for ideas for future programs. March will be our annual chili dump. Roger Josephson announced we have 167 members this year and announce we are eligible for $600 in scholarships to language camps. Online applications are due in May. Old Business: our midwinter festival will be at the Forest Conference Center at Ecumen on Sunday, March 3. Be thinking about what talent you want to feature and what Norwegian food items you might like to bring. A committee is working on arrangements. New Business: Officer training and orientation will be in Bemidji on February 9 from 1-4. Bonnie, Beth, Ardys and Dorothy are going, if you would like to attend please call Bonnie Mohs. We have been asked to give a brown bag presentation at the Becker County Historical society on May 8. We need someone to make this presentation. Bonnie read her first joke as president and meeting was adjourned. Program: Bob and Dorothy Hoover called Bingo and prizes of $5 per game were given. 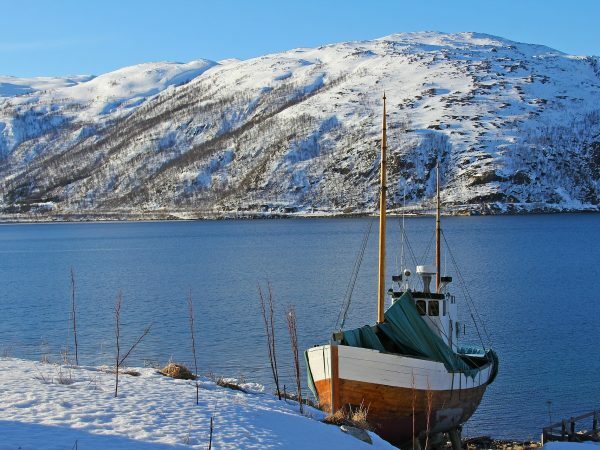 Small treasures tell a dark story about Norway’s medieval culture. Archaeologists have found more than 20,000 coins, beads and hairpins under the floorboards of old Norwegian stave churches. A total of 10,286 of the coins are from between 1180 and 1320 A.D. In the Middle Ages, there were likely thousands of stave churches in Norway. Today, 28 stave churches remain standing. In addition, Norway probably has a few hundred other churches with roots in the Middle Ages. The coin findings in these churches reveal how widely coins were being used in Norwegian settlements 800 years ago. In the Middle Ages people stood during church. Only the old and infirm got to sit on benches along the sides. Presumably there was also a clear division between the sexes. Women stood on the north side of the sanctuary and men on the south side. “When we investigated where in the church rooms hairpins, beads and other objects associated with women were located under the floorboards, we found that more than 95 percent were below the north side of the sanctuary,” says Svein Harald Gullbekk, an archaeology researcher at the University of Oslo. where women had to stand on the side that people connected with the dark and cold forces in nature. The men stood on the south side. 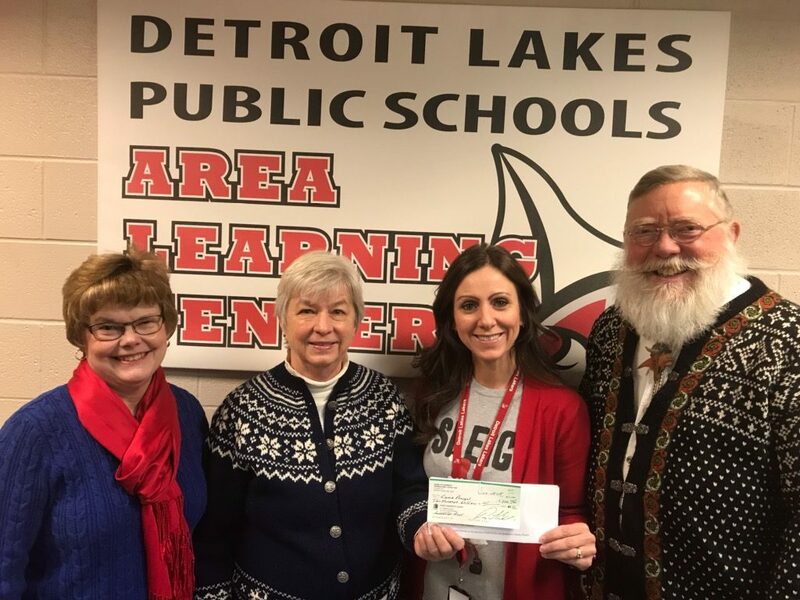 Bonnie Mohs, Carol Turner and Earl Johnson present a check to Emma’s Project on behalf of the Vikingland Lodge Foundation.